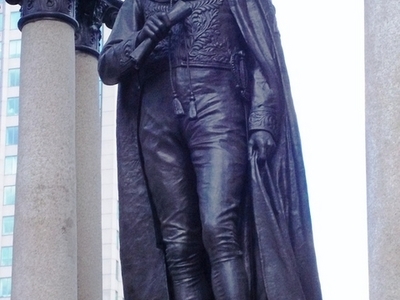 The Macdonald Monument is a monument of sculptor George E. Wade located at Place du Canada in Montreal. This monument in memory of John A. Macdonald was unveiled by Earl of Aberdeen, Governor General of Canada on June 6, 1895. Here's the our members favorite photos of "Monuments in Montreal". Upload your photo of Macdonald Monument!